While Australian Special Force units were issued with the Australian Army Stiletto made in Australia by Greg Steel and Whittingslowe, it appears that the Fairbairn Sykes fighting knives were supplied where and when needed as well. 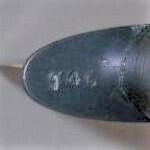 Collectors should be careful to establish the provenance of any knife purporting to be issued to Australian Military Forces. Remember "Buy the knife, not the story". 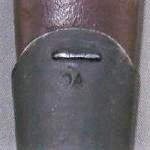 The following Third Pattern Fairbairn Sykes fighting knife has an Australian connection. The knife is in an Orange Arsenal bayonet scabbard which has been converted to hold the knife. Both have matching serial numbers. This knife came from a dealer in England, who had several, but no idea of the history. The knife appears to be post WW2 Sheffield production. surplus from a completed order? the Commando Companies when they were formed? The Orange Arsenal scabbard clearly gives the knife a solid Australian connection. This Fairbairn Sykes Fighting Knife has an even better connection. This knife has excellent provenance. 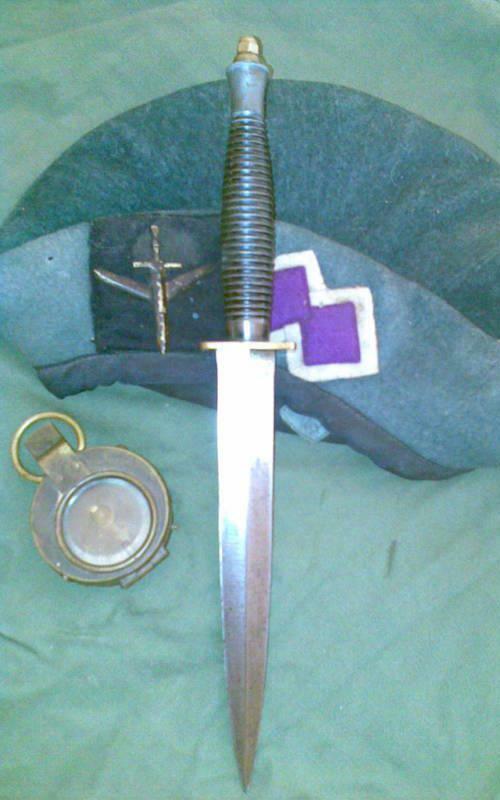 "This knife was a bring back by a member of the Australian Commandos during WW2, it has a very sharp double edge blade length of 7" and 11 1/2" overall. The blade and handle are in very good condition for its age with no pitting or rust always oiled and kept under glass. There was never a sheath just the knife, the handle is steel ribbed with a brass guard and pommel." "I purchased the Fairbairn Sykes dagger from the owners widow many years ago as well as 2 berets he wore. His name was B J Murray Reg No QX41666 a well known Australian commando in WW2." The WW2 Nominal roll confirmed that Corporal Byron James Murray QX41666 enlisted on 11 December 1942, served in the 2/6 Australian Cavalry (Commando) Squadron and was discharged on 5 December 1945. This Third Pattern Fairbairn Sykes fighting knife is very interesting. Having a SEATO mark is unusual. According to one knife authority, both the knife and sheath are characteristic of having been made in Sheffield. The suggestion is that it was aquired by a local Australian firm to fill a contract. 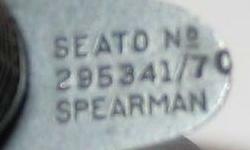 The name Spearman may refer to a small engineering firm from New South Wales. This knife apparently dates to the Vietnam War. The 70 with the stock number most likely indicates the date of 1970. Such a knife would have been intended for Special Force use. I have not yet been able to find any confirmation that this model of knife was issued to the SASR; however I continue to search.